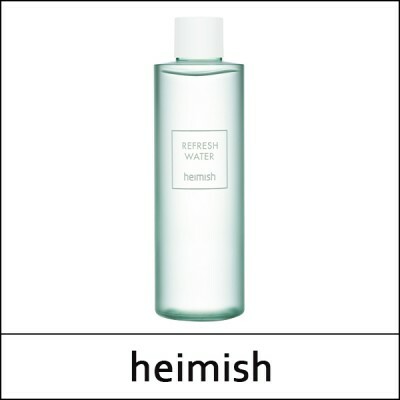 An ultimate multitasking water that provides a clean canvas for any skincare and makeup that follows. Free of alcohol, the new Heimish Refresh Water picks up any residue left behind after cleansing without drying or irritating skin. Loaded with natural plant and flower extracts, Refresh Water can be used as a toner/gentle exfoliator during your regular skincare routine and as a refreshing mist throughout the day. As a toner, Refresh Water resets pH level after cleansing with rose water. Orange fruit extract, natural AHA and BHA gently exfoliate while nut oil extracts hydrate skin. Made without artificial fragrance, dye or parabens. Great for all skin types, including sensitive skin types.